Valentine’s Day is just a few days ahead, and already the week of love has started. So, why should we stop giving away some gifts to our fans? This time, we have something special for all our fans. 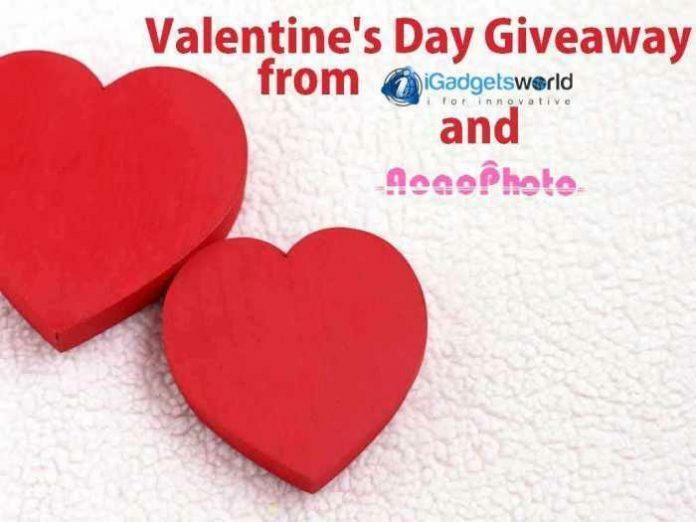 Earlier, iGadgetsworld had reviewed Aoao Video to GIF Converter, and today we will introduce you to another great product from AoaoPhoto which will definitely help you protect your photos and claim your right over your photos that you share online or use on your website- Aoao Watermark for photo, which is a great product and we will show you what it can do. Also, you can get it for free via iGadgetsworld, from our partner AoaoPhoto. Aoao Watermark for photo gives you the power of watermarking your photos with lots of options and customizations, you can add text watermark or image watermark to protect your copyright, and relax without the worry of being a victim of copyright violation. Now here’s what Aoao Watermark for photo can do. Set custom options for watermarks like shadows, opacity etc. Aoao Watermark has been featured also on CNET and users have provided very positive reviews about this product. Here’s a screenshot of how we are using it. Now, what the deal? You might have got a little bored, so actually this product costs $29.90, but this Valentine’s Day, you can get it for free from Aoao Photo. Just follow the link and grab your product for free. This is just a festive offer and will NOT be available after Valentine’s Day is over. You will get the fully registered version. Lifetime upgrade will NOT be available for the product or any other products which are specially tailored for giveaways. So, follow the rules and get your product for free. And also, after you claim yours and use it, don’t forget to leave your comments in the comments section below. Hope, this product will be helpful to you. Happy Valentine’s Day.